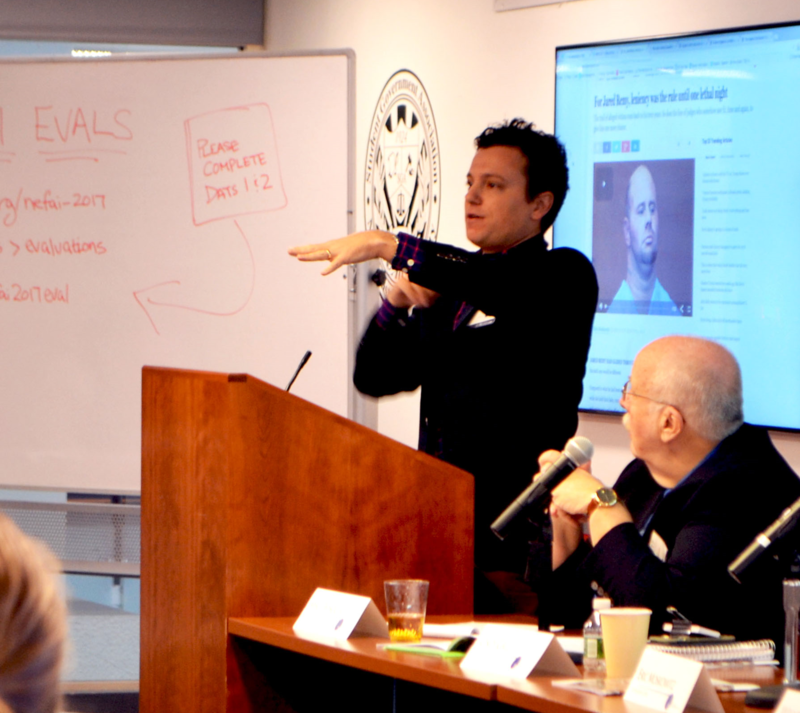 Panelist Eric Moskowitz makes a point during discussion on sourcing. Lowery and two other panelists drew from their professional experiences working with sources as they discussed navigating relationships with sources and provided tips about what reporters should do and what they should avoid. Lowery focused on the importance of establishing a strong relationship with short-term and long-term sources. He also talked about the importance of extending relationships with sources. Eric Moskowitz, a reporter with The Boston Globe who worked with Lowery when he was at the Globe, recounted his path to becoming an investigative journalist. “I started (as) a sportswriter. My background is mainly a feature writer. I considered investigative reporting to be a high calling. There wasn’t a secret handshake … to becoming an investigative reporter … It was really a matter of persistence,” he said. He also discussed how he sometimes contacts sources. “Sometimes a call can be so jarring. So sometimes I write a letter (to the potential source) … A good percent of the time I have gotten calls or emails,” he said. “Face to face … you have more time to improvise and explain your reasoning. Find common ground, do your homework and don’t ask the hardest questions first. If you are prepared, you can often find common ground,” he said. He also suggested taking a car ride with sources when you can. 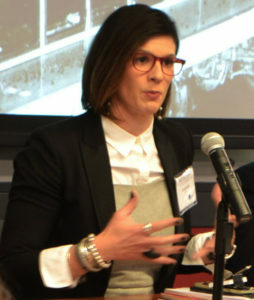 Cindy Galli, a senior investigative producer with ABC News, said she has been a consumer investigative reporter for 24 years. “This is kind of the best time to be talking about sourcing. All of our news – coming from big and small outlets — is from sourcing,” Galli said. “When you approach someone, be human and be honest … (and) don’t let it be final, don’t turn your back on your sources. The person you brought into this, they are going to continue to live this, so don’t turn your back on them,” she said. Most important is listening to what your source has to say, she said. “You don’t want to give people the impression that you are thinking of the next thing. Just listen and it is amazing what happens … (when you are) not writing verbatim questions,” Galli said. 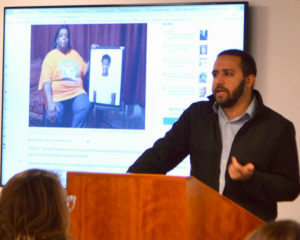 The panel discussion took place Tuesday, Oct. 31, at Northeastern University.